Property 2: Live Like A Local In Historic Architecture! Property 3: Charming Creole Caribbean in Mid City! Property 4: NEAR STREETCAR LINE! NEW LOCATION!! BOOK NOW! 5 minutes from FRENCH QUARTER! Property 6: Hop On The Streetcar ! *Splash*! Uptown Large Family Home With Pool..! Property 16: *Splash*! Uptown Large Family Home With Pool..! Property 18: NOLA House-Center of all things New Orleans! In Historical Neighborhood! Property 20: Whole House- One Block To Frenchmen Street - With Courtyard! Property 24: This is it!! A great place for a group get-together! Property 25: New Orleans at it's Best - Charming Studio, Great Location! Property 28: The oldest historical creole Cottage of the Marigny, shabby-chic decor. Property 32: Classic New Orleans home centrally located minutes to anywhere in the city! 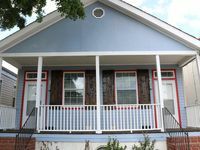 Property 36: Big Easy Charmer 2 Bdrm 19STR-00985 In Convenient Location. Property 42: Walk everywhere in the FQ! JB&B...The Original Mid City Gem. Property 46: JB&B...The Original Mid City Gem. LAST CHANCE FOR JAZZ FEST!!! GREAT RATES AND LOCATION!!! Property 49: LAST CHANCE FOR JAZZ FEST!!! GREAT RATES AND LOCATION!!! City Park Rest Haven, 7 Minutes to French Quarter! 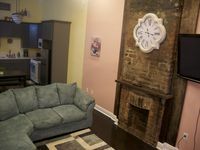 Property 50: City Park Rest Haven, 7 Minutes to French Quarter!